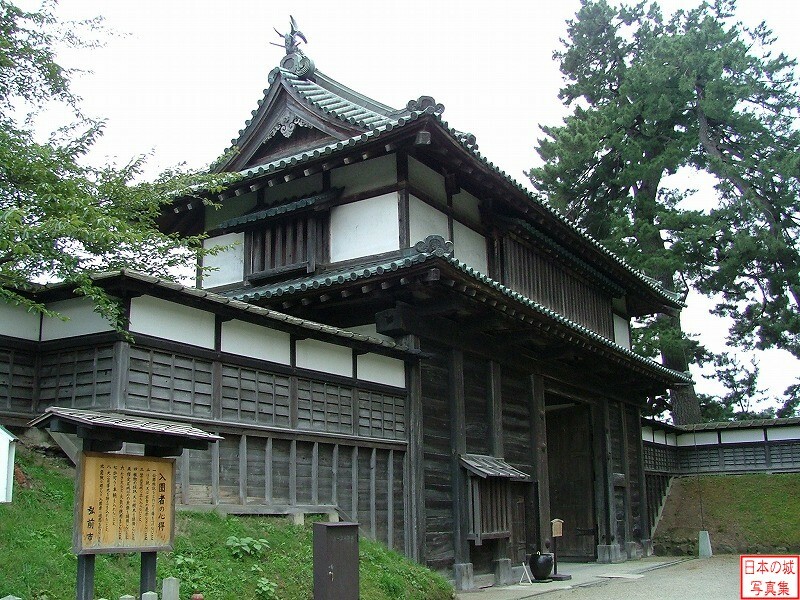 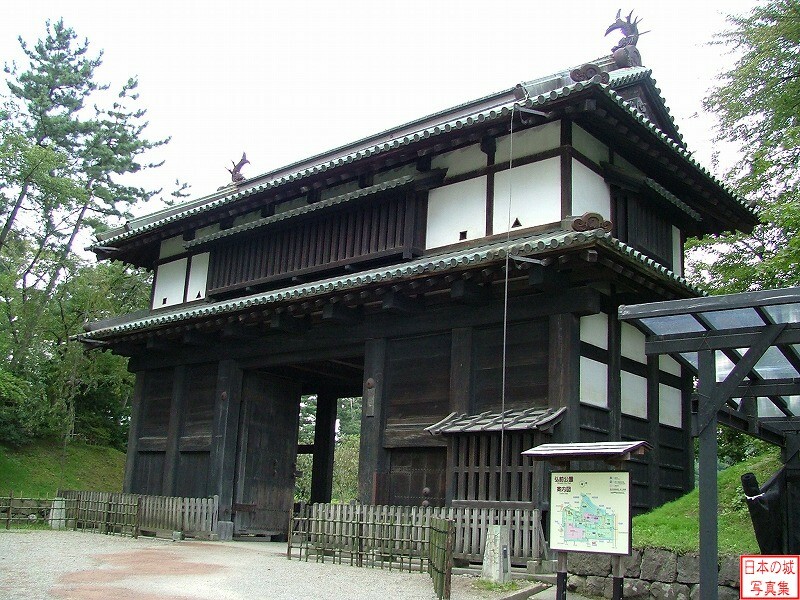 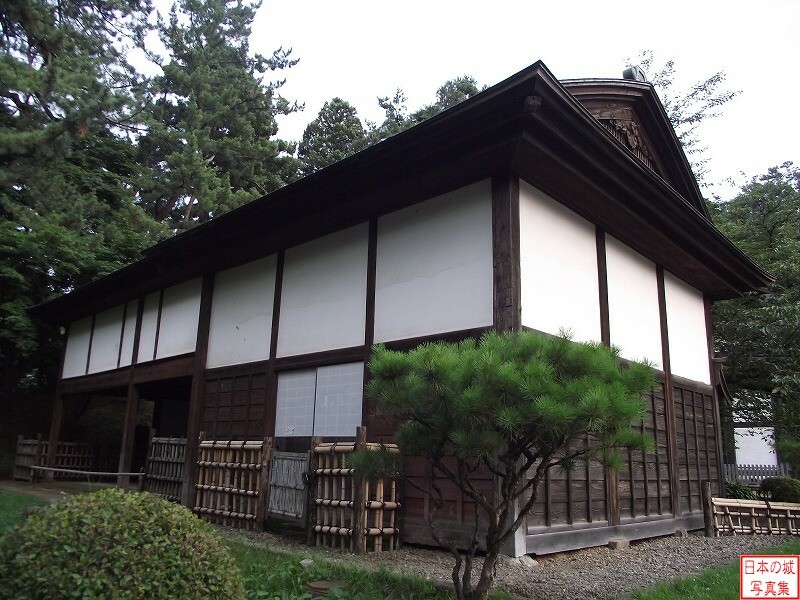 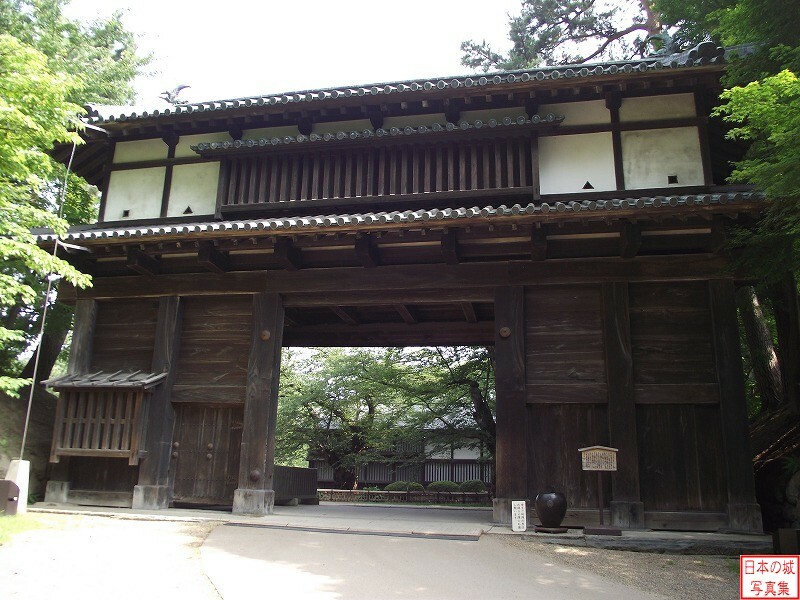 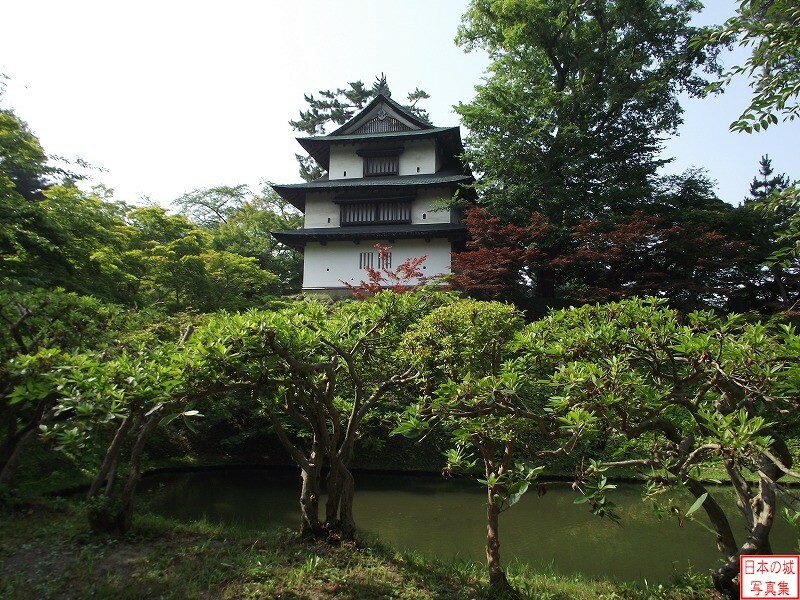 Hirosaki-jo was built in the 16th year of Keicho era (1611) by Nobuhira Tsugaru, the master of Tsugaru Han. 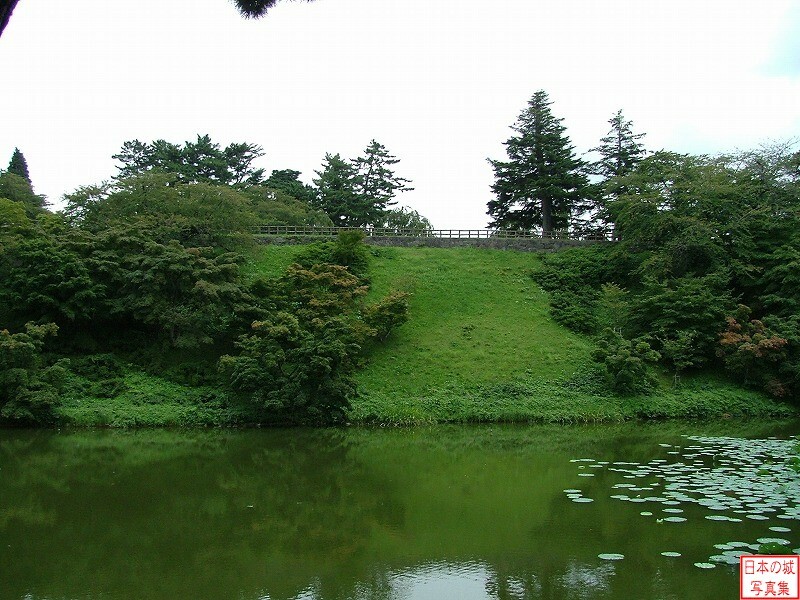 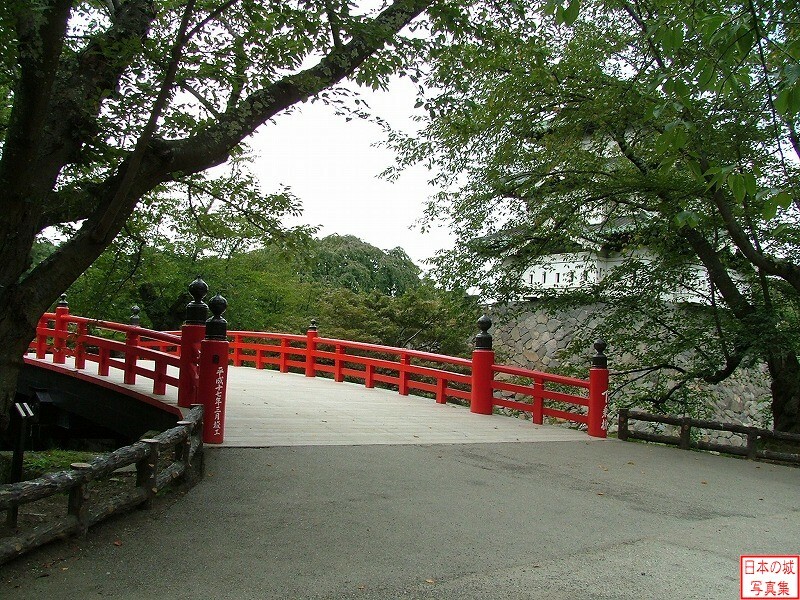 The distinctive feature is that the inner citadel (Honmaru) is surrounded by dry stone and the remaining parts are surrounded by earthwork fortification. 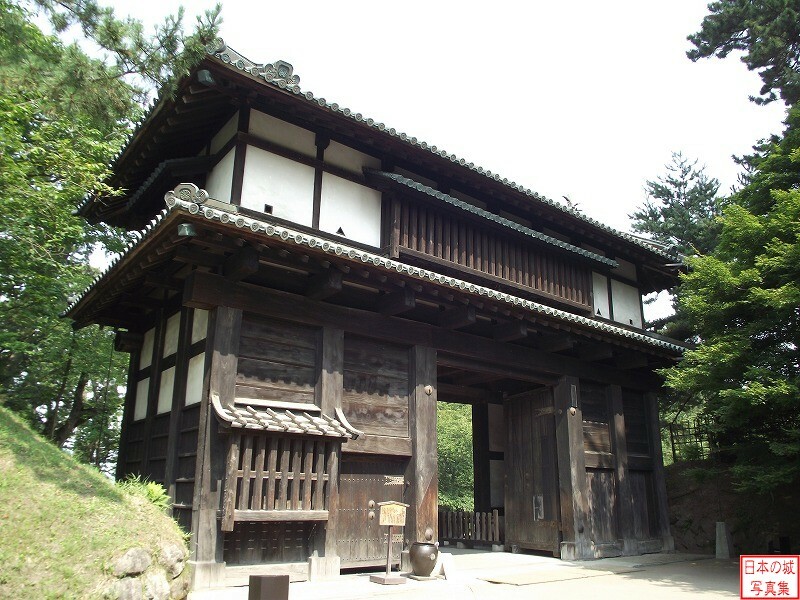 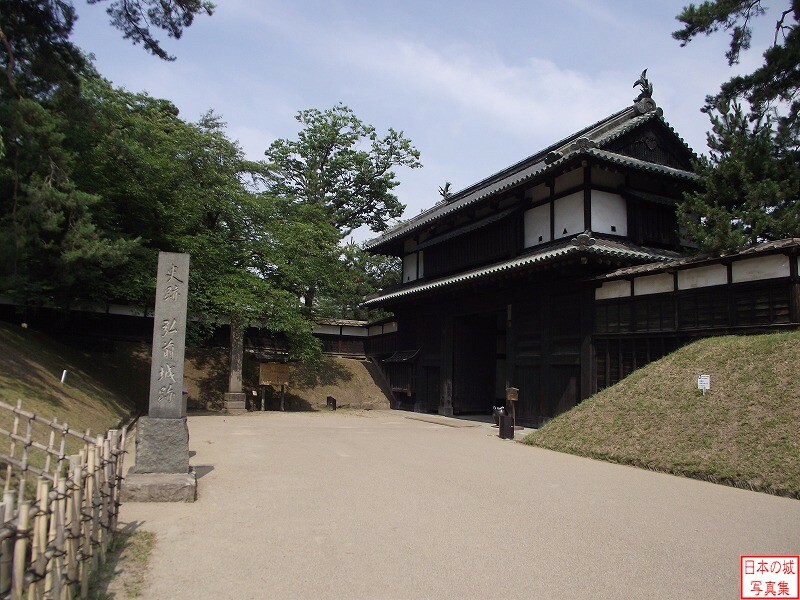 Tsugaru Han became independent from the Nanbu clan by force and built a bigger castle than its scale to prepare for the Nanbu clan's invasion. 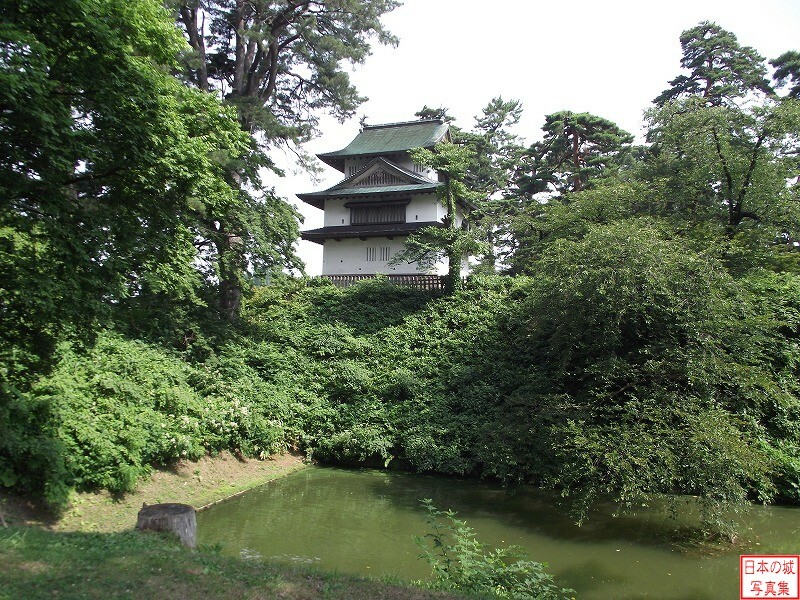 The castle remain today with its castle tower as well as three Sumis and five castle gates and has been appointed as an Important Cultural Property. 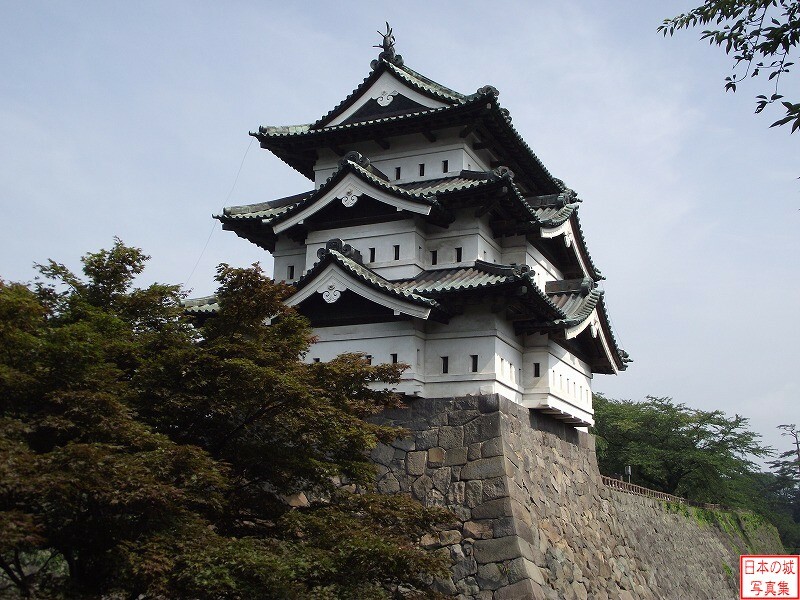 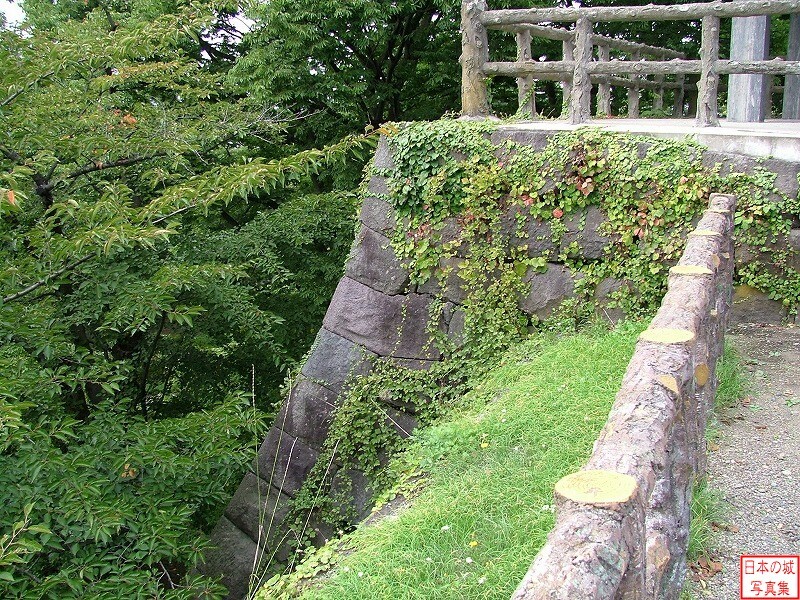 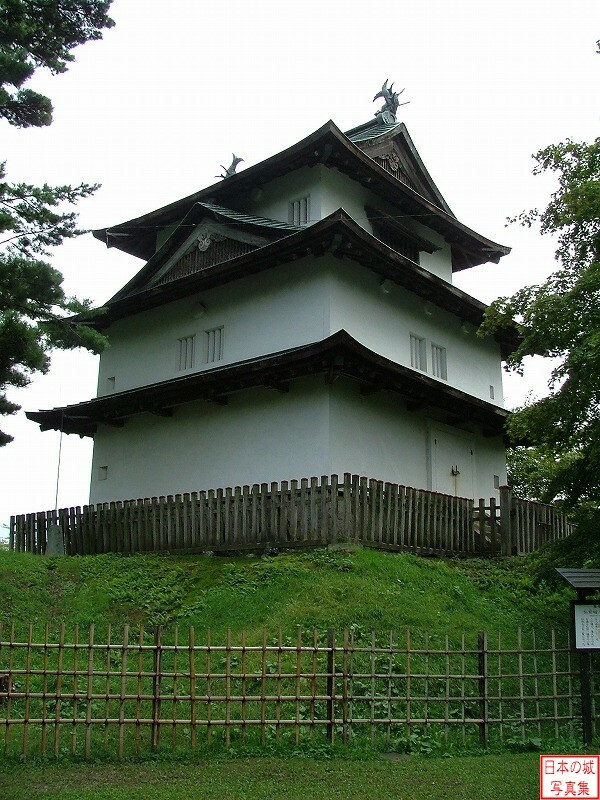 The original castle tower was lost by the fire and the current tower is the one substituted by the Tatsumi turret of the inner citadel (Honmaru). 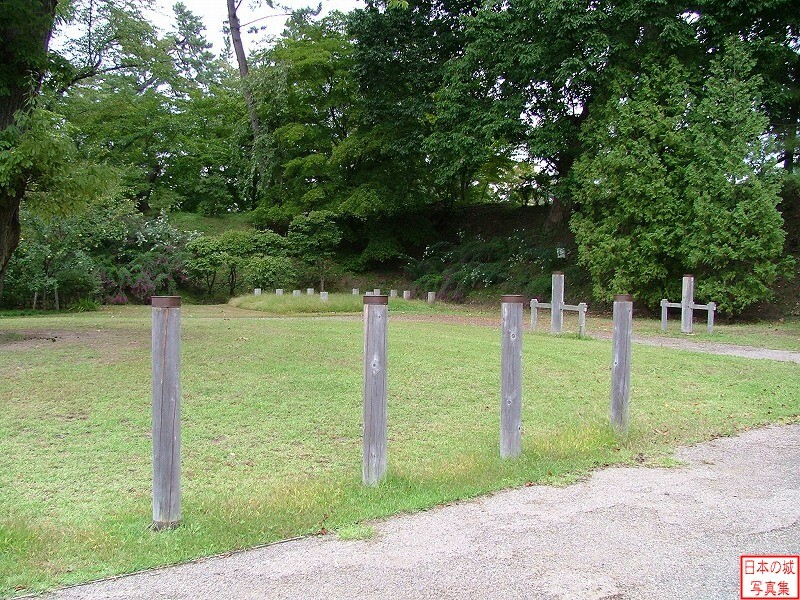 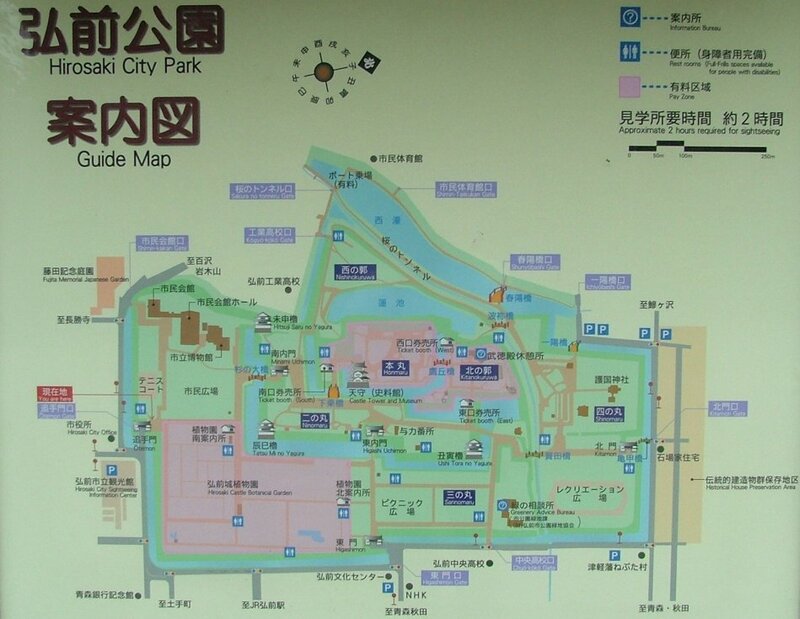 The vast castle site is now arranged as a park.